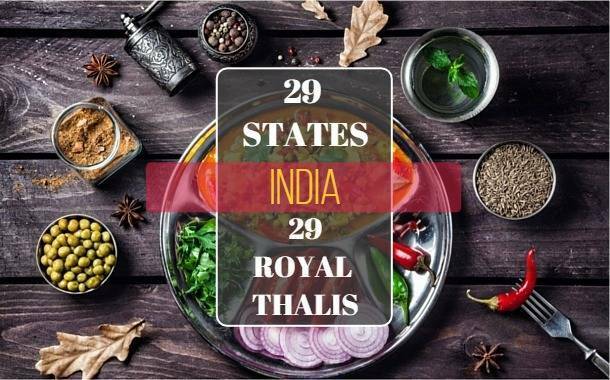 29 Royal Thalis from 29 States of India. India as a country is rich in culture, cuisines, and customs. Each region in the country is unique in its own way. As you move from one region to the other in India, the dishes and spices change rapidly. 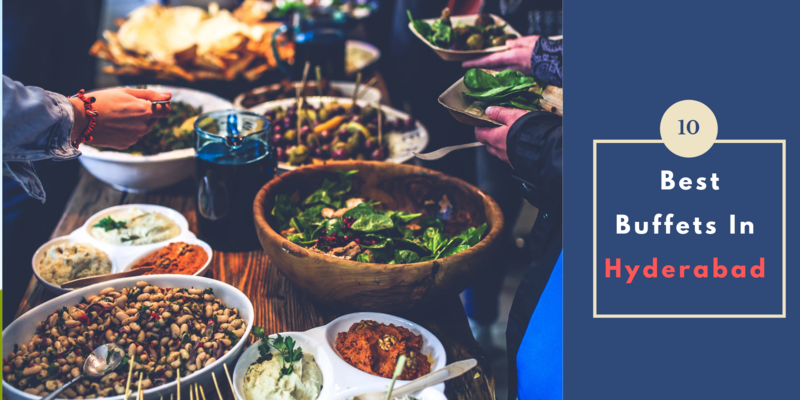 Apart from all the differences, it’s the food that brings us all together. A ‘Thali’ is the epitome of ‘cultural exploration’ on a plate. A complete meal in itself! 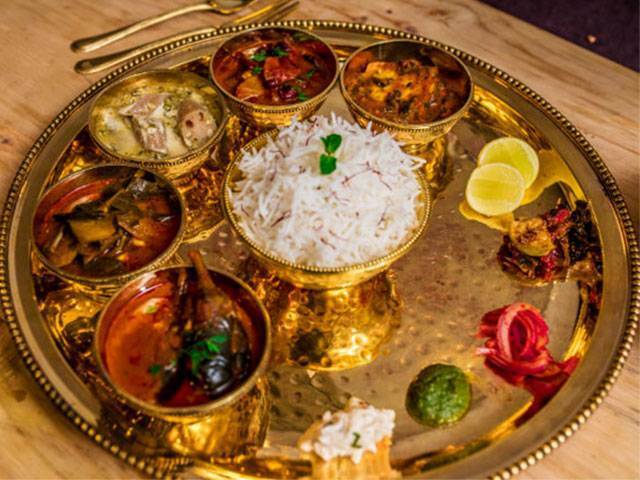 Here are 29 Royal Thalis from the 29 States of India. This royal looking and exquisitely delectable thali is a meat lovers' thali. Kashmiris love meat and many popular dishes are meat based such as rogan josh, Gushtaba, and yakhni. Also, they have different pieces of bread for every season. Wazwan is a most popular multi-course meal of Kashmiri. Kashmiri food is made richer with the use of dried fruits in almost every dish; even the rice! 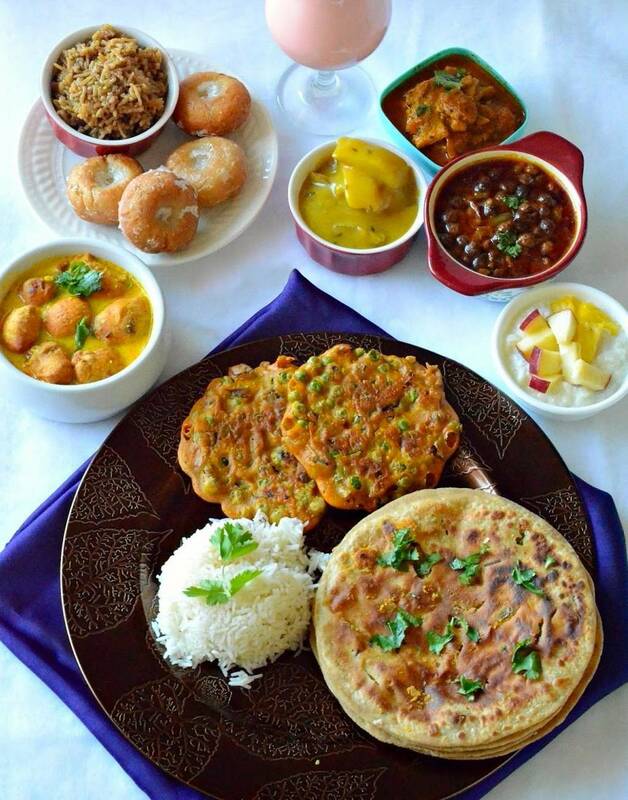 The Himachali dham thali is an assortment of traditional herbs and spices and is incredibly delicious. ‘Dham’ is the traditional festive food of Himachal Pradesh. The food starts from steamed and fried colocasia leaves, boiled raw mango mashed with jaggery and rock salt to lamb in yogurt gravy. It ends with a dessert of sweet caramelized rice, liberally mixed with raisins and dry fruits. 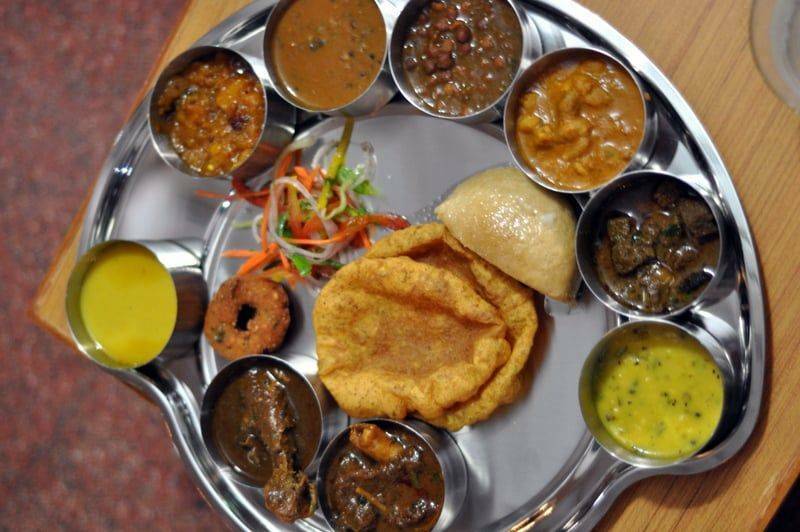 The Haryanvi thali is really simple and it is really tasty! There are large helpings of homemade ghee, curd, and butter. 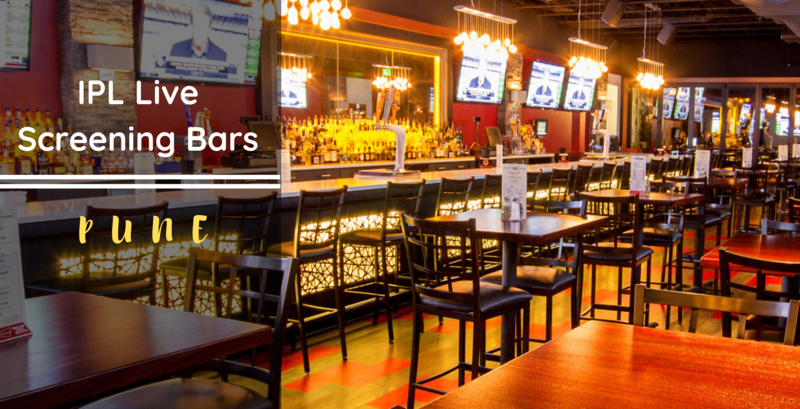 It offers a rustic and earthy experience. The specialties are; kachri ki sabzi, Hara dhania cholia, mithey chawal, alsi ki pinni, malpuas, khichdi and kachi lassi. Uttarakhand greets you with different aromas coming from the forests and the roadside eateries and all these together make their way to their Thali. 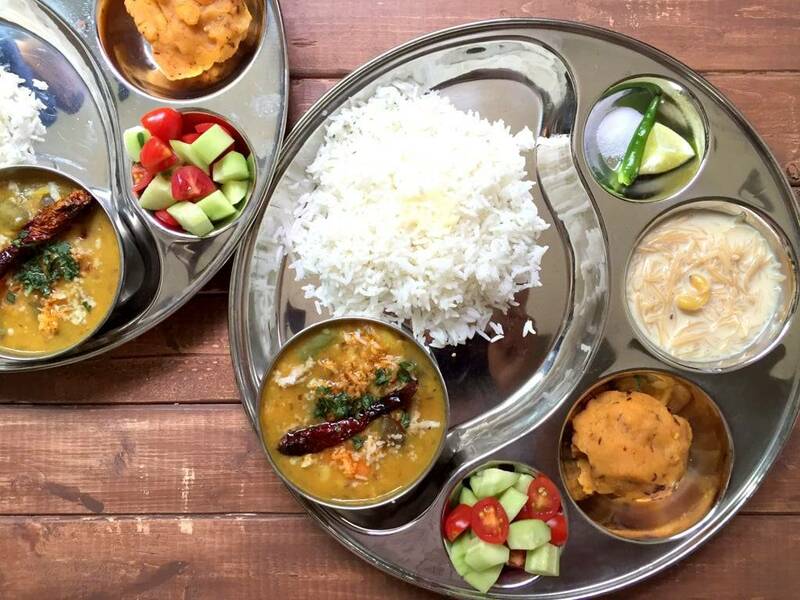 The simple and seasonal Kumaoni thali is a regional culinary gem. It had unique delicacies such as - Bhang Ki Chutney, Aalu Ka Jhol, Kafuli, Phaanu, Baadi, Chainsu, etc. and of course their Ghar ka parantha! Punjabis are the most enthusiastic people you will find in India. There are no basic Punjabi essentials. Everything is a must! Statutory Warning: their food contains a lot of ghee (clarified butter) and that’s where the taste comes from. In its grandeur, it is similar to the Kashmiri Thali. 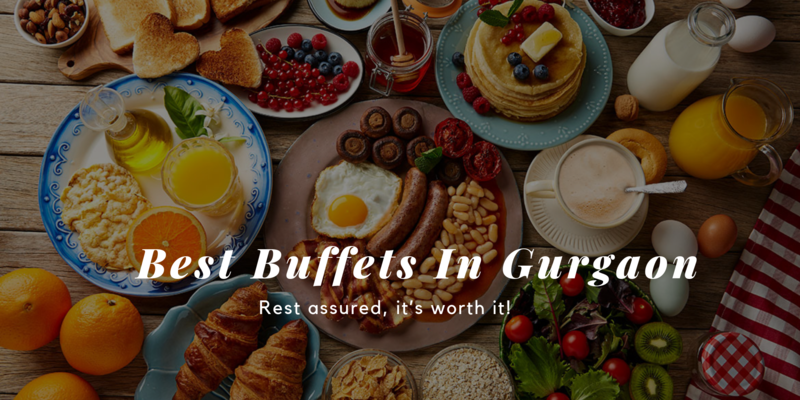 Ranging from Aloo Kulcha, Punjabi Chole, Paneer Tikka, Butter Chicken, Tandoori Chicken, Aloo Paratha, Dal Makhani, Kadi Chaval, Rajma Chaval, Makke Di Roti, Sarso Da Sagh no matter if that takes all the space in your system, a glass of Sweet Lassi is a must. That’s how a Punjabi meal is done. The thali from Uttar Pradesh is again robust, filled with dal, veggie dishes, dahi and even sweets. The Awadhi and Mughlai cuisines of Uttar Pradesh bear similarities to those of Kashmir and Punjab due to the common influence of Mughals. Different cities in the state have their own specialties. Lucknow is famous for its Royal Biryanis, Kebabs and a number of sweets. 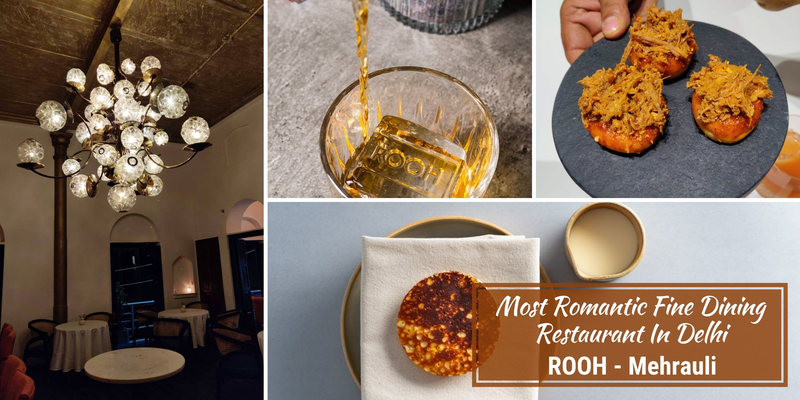 Kanpur for its simple food, Kakori kebabs, Agra for its petha, Mathura for its Pedas, Banaras for its Paan, Rampur for its non-veg and Pasanda dishes. Rajasthani thalis personify the true dining experience and the origin of the concept. It revamps the whole traditional atmosphere by adding a tinge of royalty to it. They have rotis, pooris, kachauris, and parathas made of wheat flour. But their highlights are the rotis made of Bajra, Makka, and Jowar. They make use of Besan extensively. Daal baati churma is a speciality here. 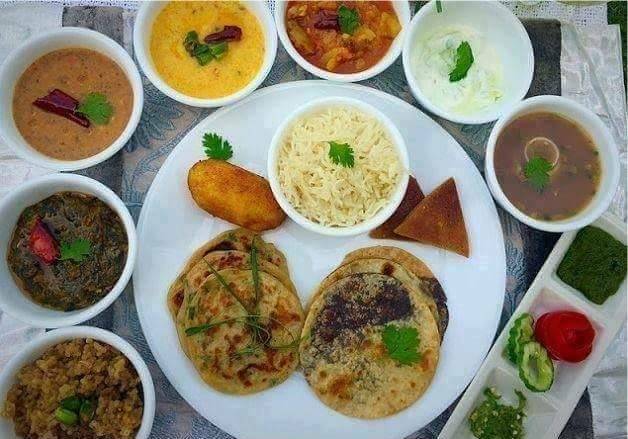 Gatte ki sabzi is another famous personality on the Rajasthani thali. 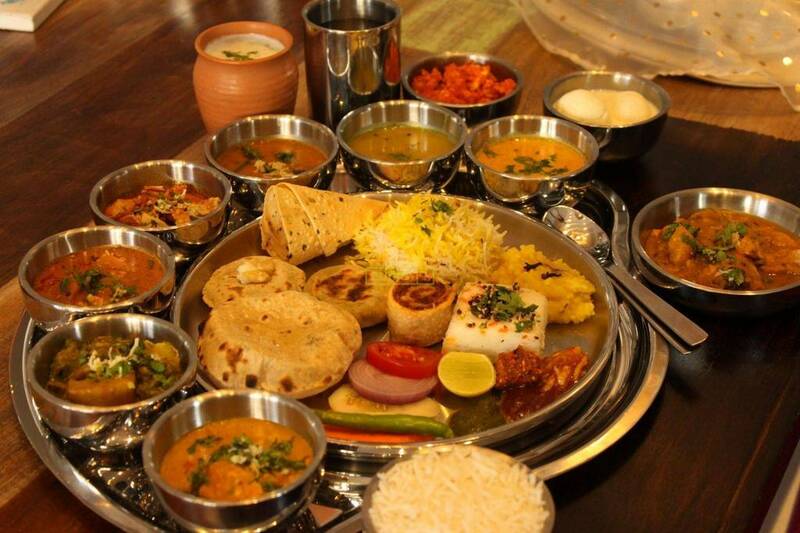 The Rajasthani thali is the quintessential Indian thali. 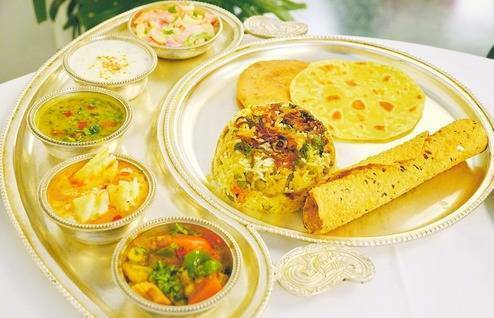 The classic Gujarati Kathiawadi thali has much to offer. Most Gujarati dishes have a subtle sweet taste to them that makes them truly distinct from other Indian cuisines. It is mostly vegetarian. 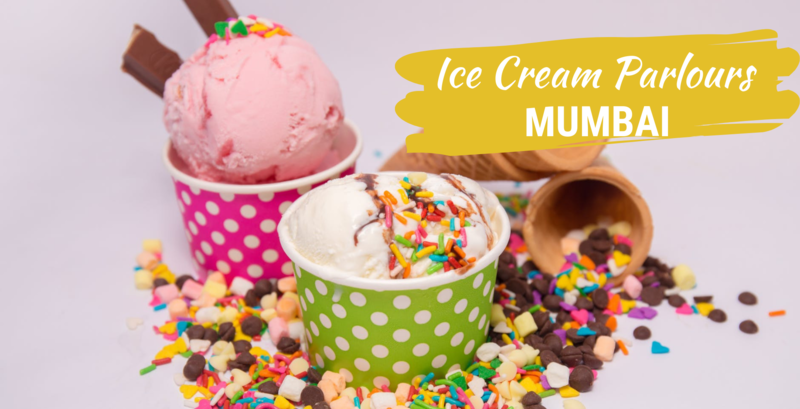 They also have a variety of snack items like thepla, maal purah, puri, bhakhri, and puran-pohli, hari and khakhra, dal-dhokli, chevdoh, dhokla, undhiyu, khaman, bhusu, fafda, dhokli, papdi, and sev mamra. 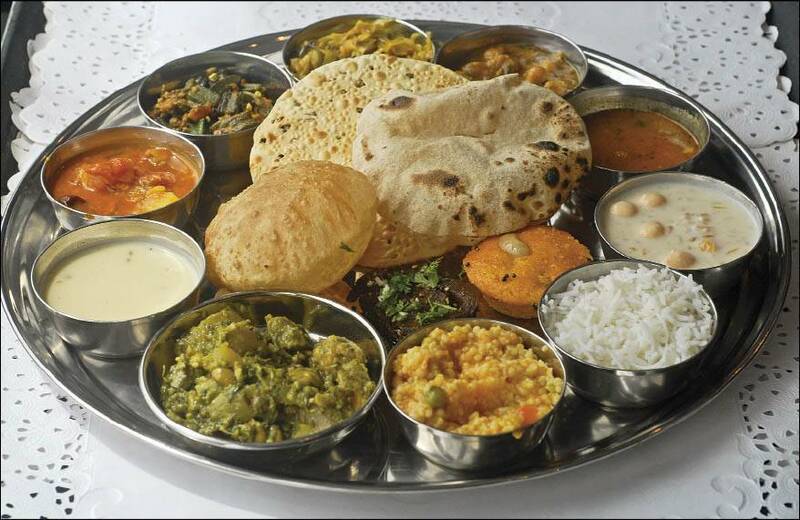 A Gujarati thali shall treat your palate to many flavors in an instant. Maharashtrians are known for their extremely spicy and unique masalas. Chicken and fish are the common non-veg items you’ll find here. They have a great variety of Pickles. The thali will have a little amount of rice in one corner with daal in a bowl, and chappati on the other corner. You can pick what comes to your plate. 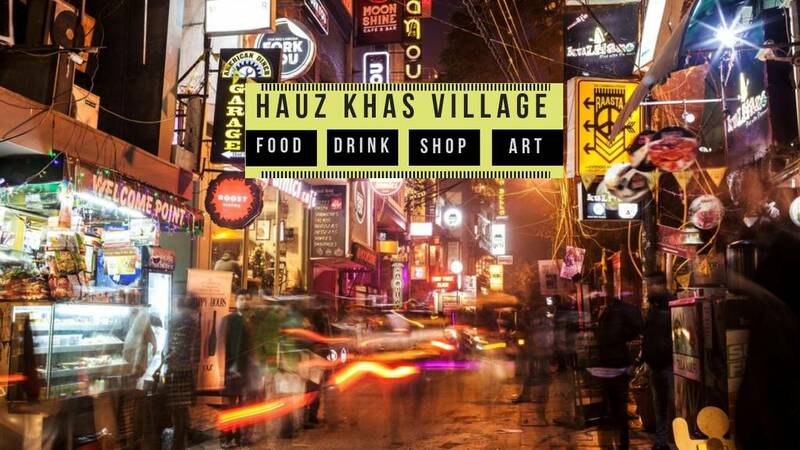 There are a variety of bhajis, sabudaana vada and the awesome pav bhaji, which is irresistible. With sweets like aamras and sheera, the thali is certainly not lacking when it comes to desserts. 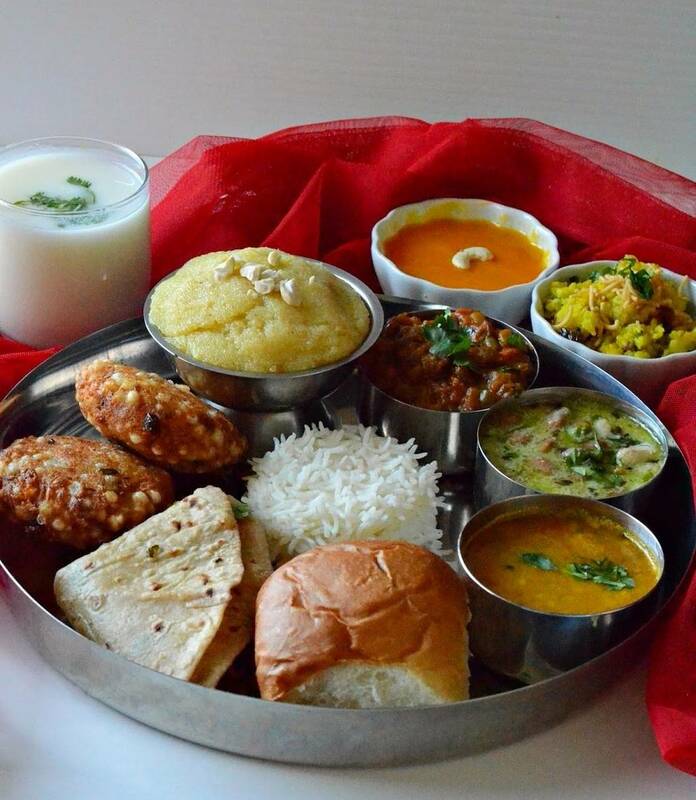 Maharashtrian thali automatically goes up by a level. Goan Thali is as awesome as its beaches! It’s a complete Indian meal at your fingertips. Goan food is synonymous with seafood, rice, coconut, fish and yes, kokum! Goan cuisine is also characterized by having some of the hottest curries, like Vindaloo. Due to its coastal location, seafood is also quite prevalent. Goans are known for their fish curry rice that will blow your mind with its mix of spices and rice. It is a seafood lover’s favourite thali. 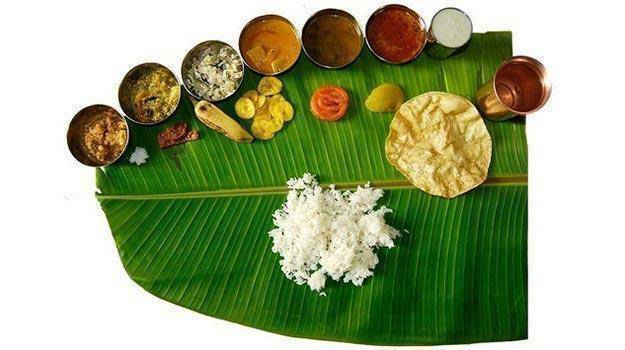 The Andhra Thali is complete only when it is served on a banana leaf. It begins with a liberal dose of ghee on boiled rice along with lentil followed by Charu ( a kind of rasam), avakaya (mango pickle) and various other delicacies usually ending with a sumptuous dose of perugu (curd rice). For dessert, you will be served Rava Laddoo or Bandhar Laddoo. The state of Telangana became a state separating from Andhra Pradesh very recently in 2013 and thus, both the states have the same eating habits and customs. Their Thalis are practically the same! 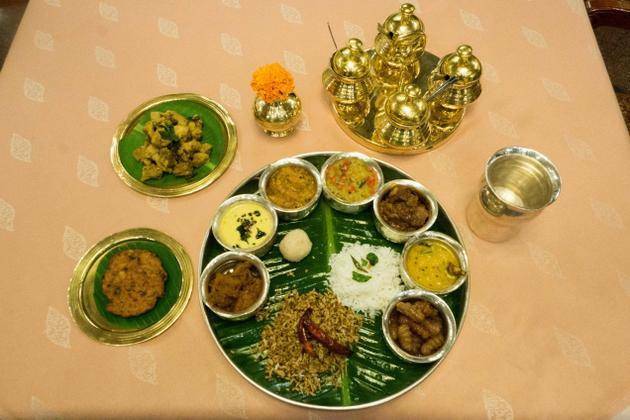 But what separates the both is the spiritual significance of the festive Telangana Thali. The thali bursts with the flavourful goodness of the State’s myriad culinary traditions. The three thalis are vegetarian, non-vegetarian and seafood thalis. They don't believe in desserts, “Traditional Indian food has no concept of desserts, we offer sweets like gaval etc for the fest,”. 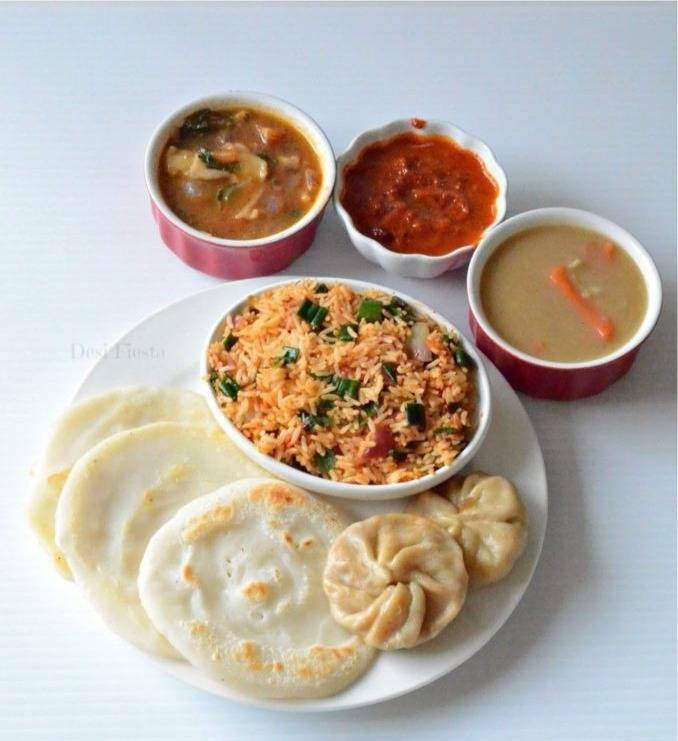 A typical Kannadiga Oota (Karnataka thali) is a beautiful blend of different flavors. There is no 'rule' to this thali and it contains liberal helpings of rice, sambhar, kootu. 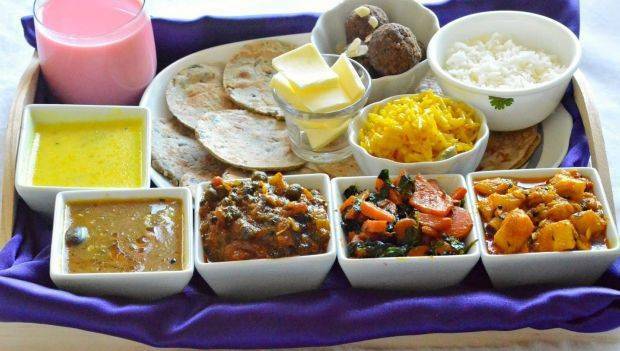 This Thali is brimming with variety which includes jolada roti (sorghum flatbread), akki roti (rice flatbread), padavalkayi masala (snakegourd curry), badane ennegai (stuffed brinjal), ranjaka (chilli-garlic chutney), gattisoppu (lentils and greens), mirchi bhajji (chilli fritters), kosambari (moong dal salad) and a bowl of homemade yoghurt. 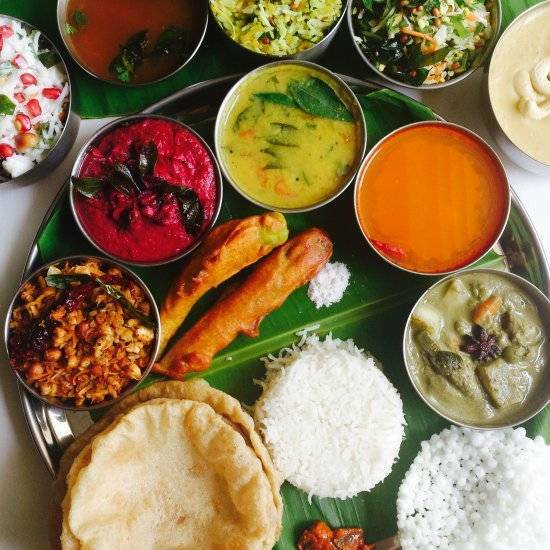 Indians are known for elaborate meals, and the Kerala Sadhya thali is an example of it at its best. Kerala’s food is generally hot and spicy. 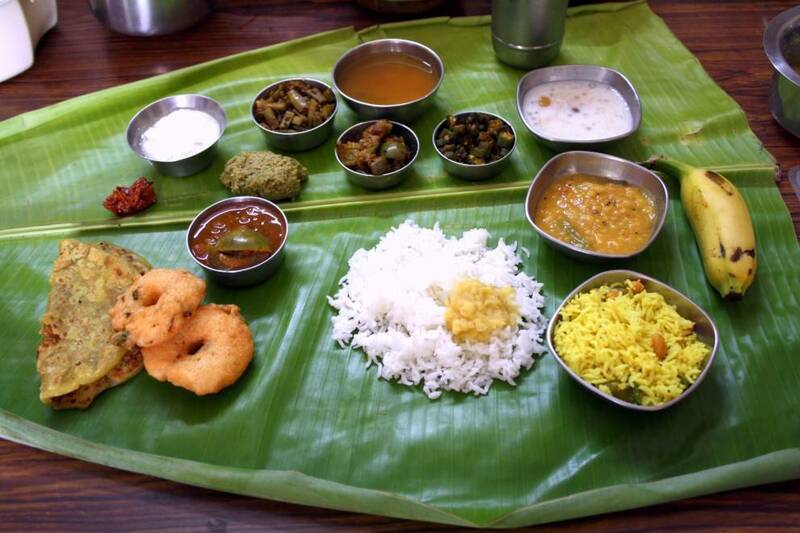 The food is traditionally eaten by hands and served in banana leaves. Abundant use of coconut oil, mustard seeds, curry leaves and coconut milk are used in their daily cooking. For dessert, there's paayasam (a sweet made with rice and lentils) to complete the meal. 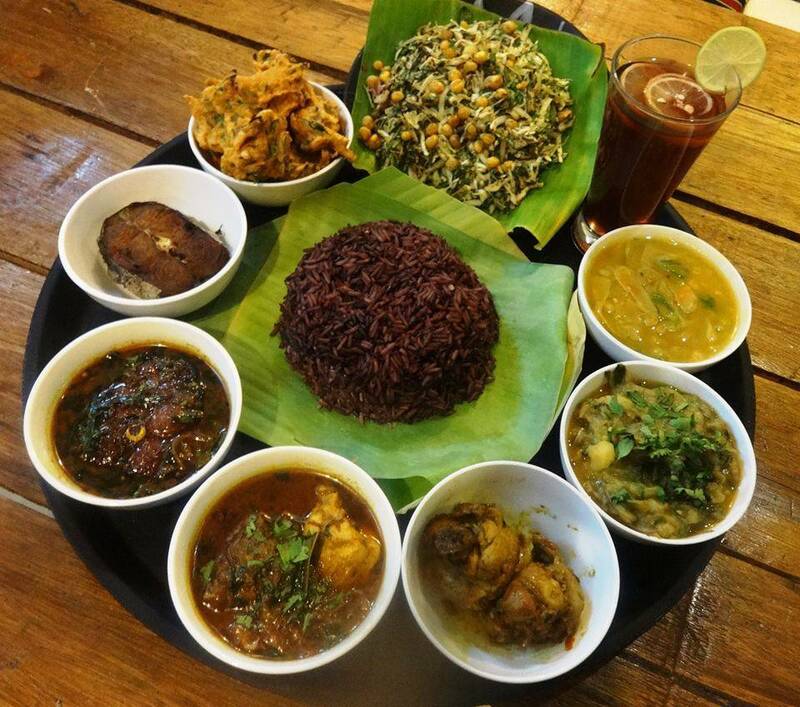 There is no classic Tamil thali as each district and community in the state has its own signature recipes but the Sappadu & Chettinad does have some much-loved staples. 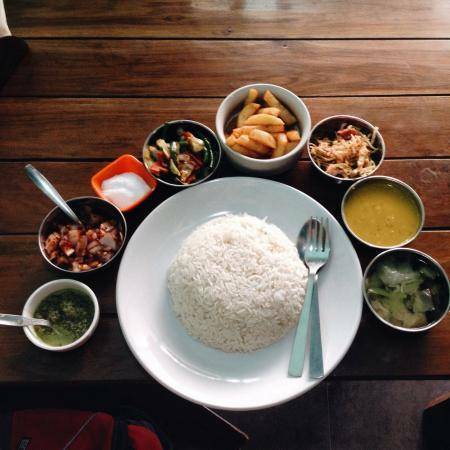 They include curries, mixed vegetables, curd rice and sticky rice puddings. 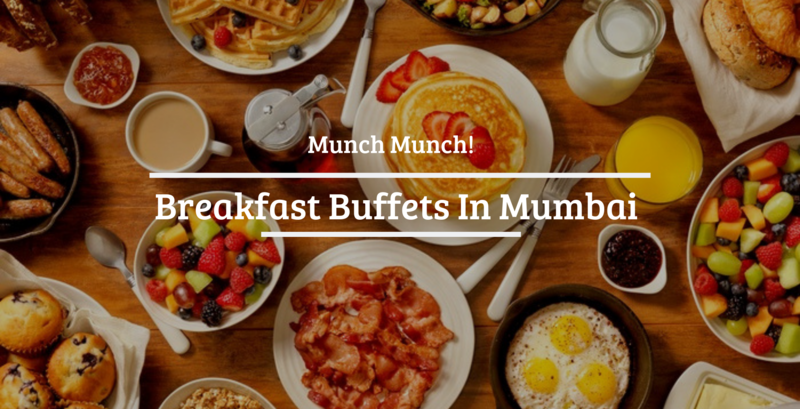 It even offers munchings such as Banana Chips, Chakli and Onion rings. 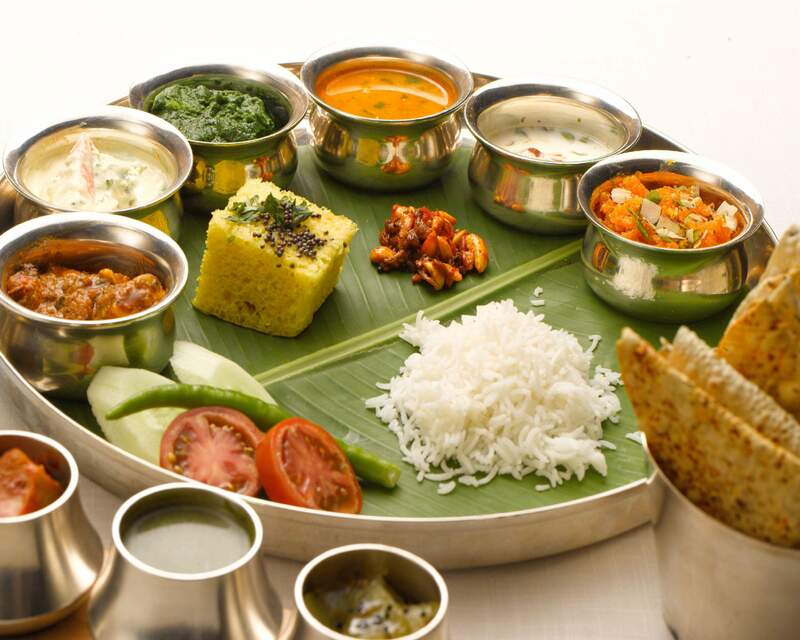 Each dish on its own is a culinary specialty and this Thali is an adventure in itself! The Bhojpuri thali can surprise you with its multitude of flavors. Predominantly vegetarian, the Bhojpuri thali from the state of Bihar has a lot to offer. 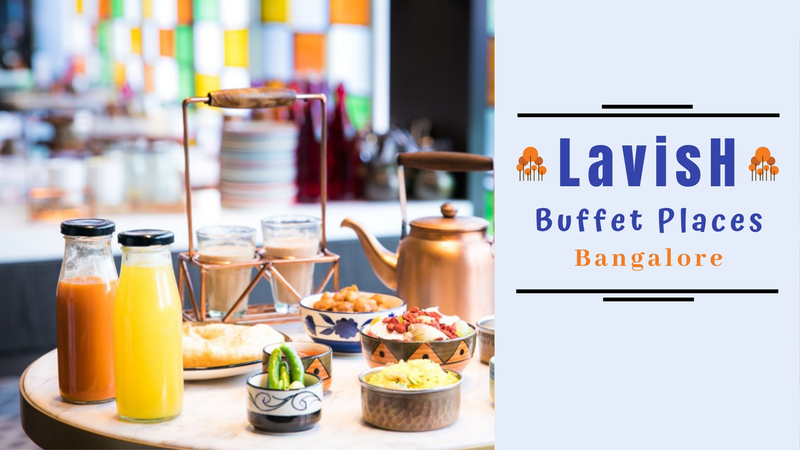 The diverse platter boasts of dishes such as Litti Chokha, Bharbhara (green gram fritters), Dahi Chura (curd with rice flakes), Sattu ka Paratha, Kaale Chane, Gurma (raw mango chutney) and Rasiyaaw (rice dessert) to satisfy your sweet tooth. The Jharkhand Thali is elaborate. 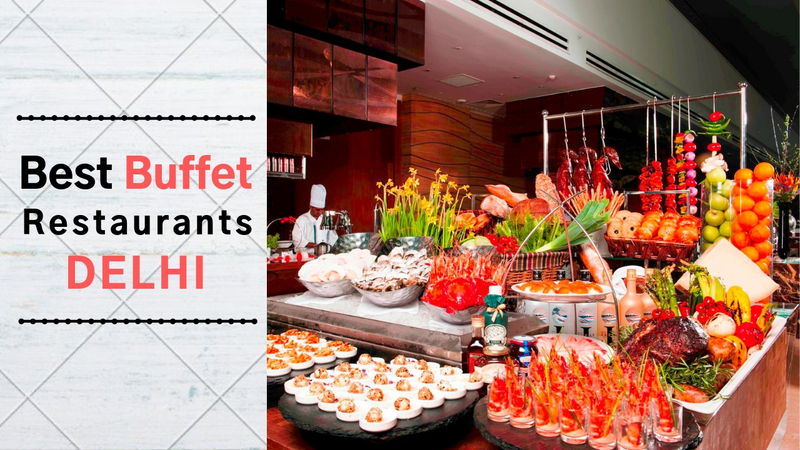 It has indigenous items like dhuska and litti-chokha up for grabs. 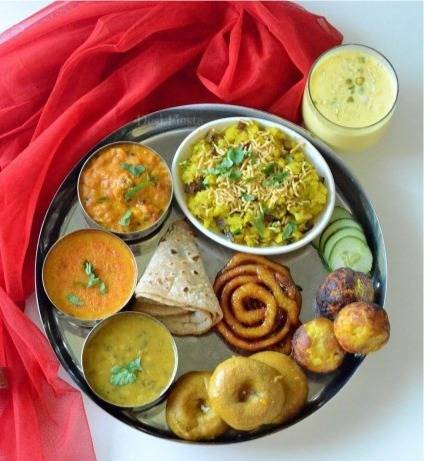 The veg thali comprises usually a seasonal salad, dhania-lasoon chutney, dhuska and alu-chana curry, kurthi dal, urad dal dumplings made with tomato puree, lal saag & marwa rotis made of rice and ragi flours, respectively. The extras on the non-veg platter are mutton ka jhol and dehati chicken in the place of yam and arbi leaf curries. For desserts, there was dudiya and dudh pitha. 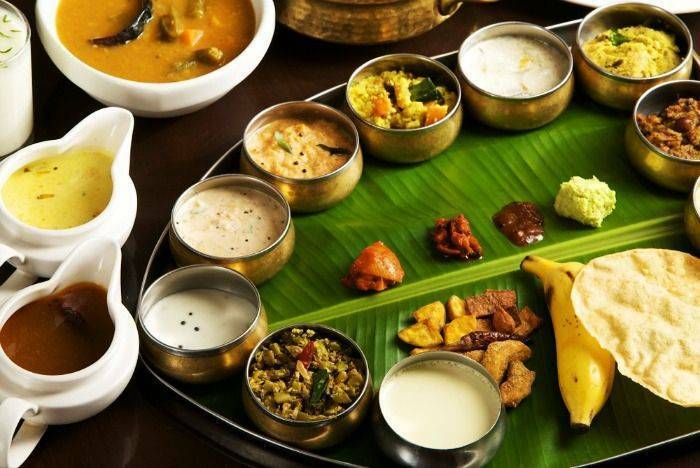 The rustic and robust Dalma Oriya thali, with its emphasis on copious amounts of vegetables and restrained use of spices and oil, is among the healthiest thalis in India. The thali includes roti, rice, phakala (rice in fermented and spiced curd), dalma (signature lentil and vegetables dish), karela bhaja (bitter gourd fries), alu posto (potatoes with poppy seeds), baingan chatka (roasted brinjal mash), phulgobi kosha (dry cauliflower curry), tamato khatta (sweet sour tomato and date chutney), and the divinely delicious kanika (sweetened rice-lentil khichdi). 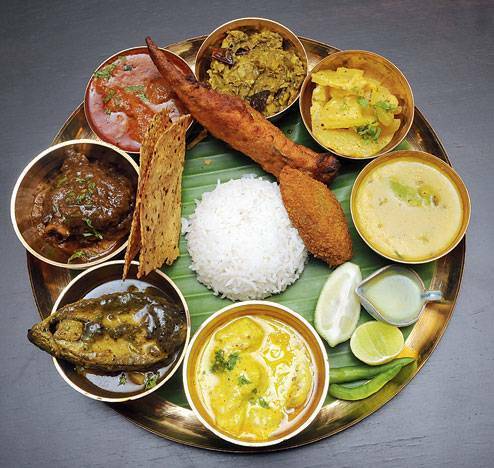 The flavours of a blissful Bengali thali stay with you long after the meal is over. 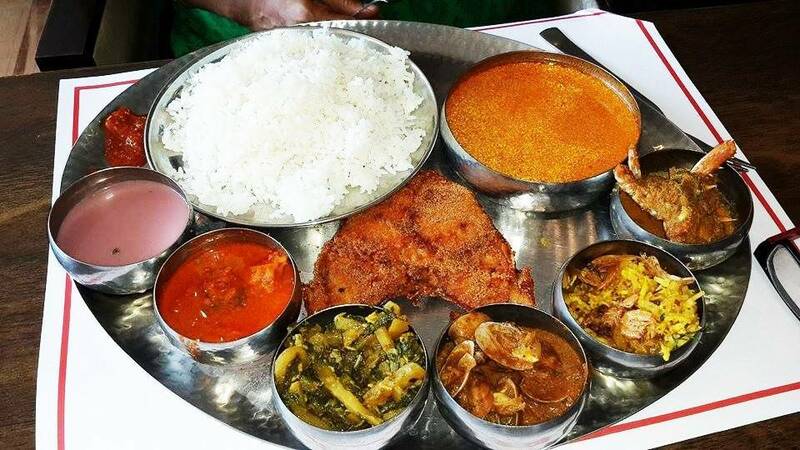 A veritable feast for the fish lover, the Bengali thali includes signature delicacies From Begun Bhaja, Patol Bhaja, Shukto (a bittersweet medley of vegetables), Shaak and Alu Bhaaja to Cholaar Dal, Bhaat (rice), Maach Bhaja (fish fry), Maccher Kalia (fish curry) and Kosha Mangsho (mutton in thick gravy). To end the meal on a sweet note, you are served a sinful rice pudding called Payesh and our favourite 'Rosogullas'. 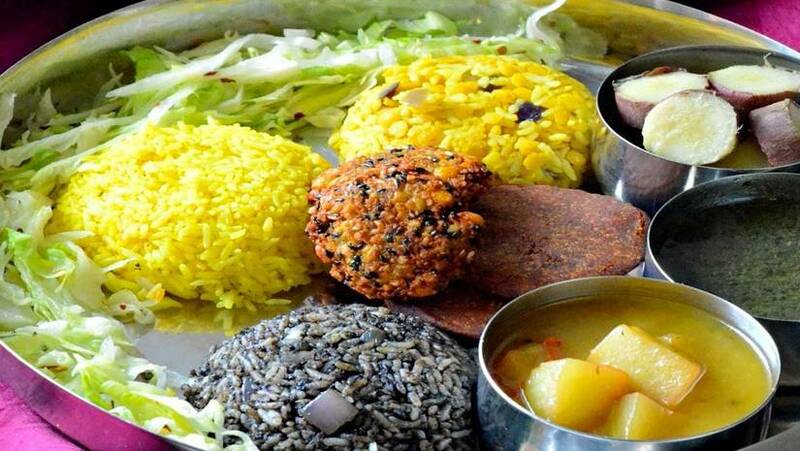 A typical meal in Chattisgarh consists of rice and rice flour preparations, curd and a variety of leafy vegetables. Chattisgarhi thalis are a long, drawn out yet totally delicious affair. 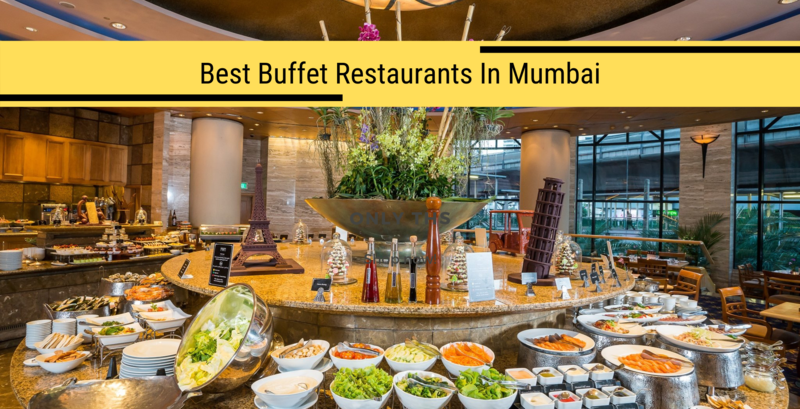 You'll be spoilt for choice with dishes like fara, rice pakoras, dehati vada and muthiya. The Chattisgarhi Thali stands out with it's variet of breads like angakar poori, paan roti and chusela. In desserts, watch out for the gulgulle, kusli and sweet fara. 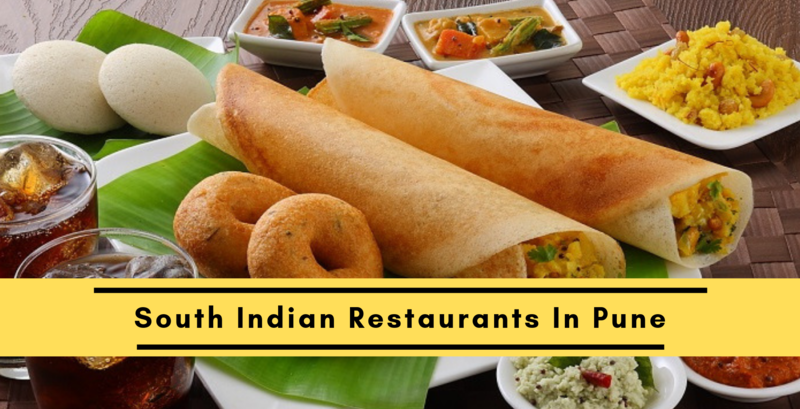 The food in the 'Heart of India' has a slight variation of its neighbour state cuisines. 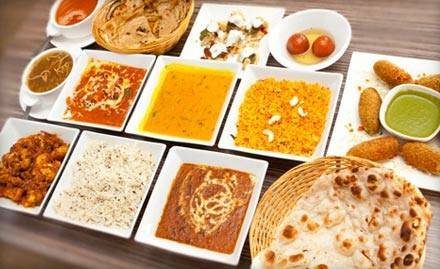 The vegetarian cuisine in Madhya Pradesh has the influence from Gujarat and Rajasthan in it. You will find Butte ki kees – which is nothing but corn and Milk is spiced up cooked and served hot. Dal bafla which is also known as dal baati in Rajasthan is similar but is prepared in a different method and so the taste also differs. Poha is another dish people in Madhya Pradesh. For shikanji, you may think the normal lemon juice in water but no that's not the shikanji you will find in MP- it is a thick malaidhar milk with lots of nuts in it and tastes almost like the badam milk of Tamil Nadu. A traditional Aalohir Exaj or the Assamese meal begins with a delicacy called Khar, which is a curry made with raw papaya, lentils, and powdered dry banana skins. It is followed by pura ( smoked meat or fish), poitabhat (cooked rice that is soaked overnight and garnished with mustard oil, onion and chilies), pitika( a kind of mash), shaak bhaji (green leafy vegetable), bor (fritters) and pickle. The meal ends with a signature Assamese preparation, tenga, a lightly spiced sweet and sour fish curry that will have you licking your fingers. 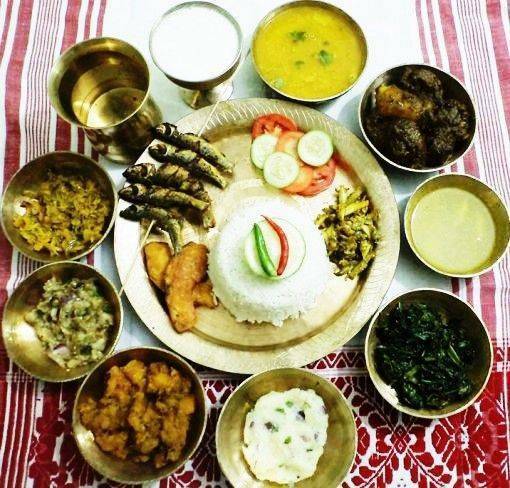 The Manipuri thali (Meitei) is simple, tasty and centered around fish, seasonal vegetables, and sticky rice. 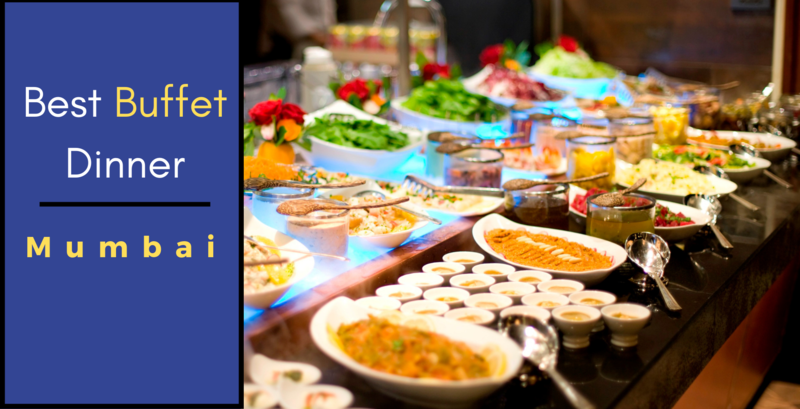 Manipuri thali includes eromba (fermented hidol fish and vegetables), sinju (cabbage and local greens salad), thanbou (lotus stems), ooti (peas curry), chareng (a fish curry), pakora thongba (gram flour curry), manikha (a mix of brinjal and fish oil), kangsoi (veg stew), chambut (boiled papaya), kangsoi (boiled dry fish) and, of course, a mustard chutney. The perfect end to the meal is provided by chak hao kheer, a beautiful purple hued black rice dessert generously laced with cardamom powder. Bursting with flavors, the Sikkimese thali is a foodie’s delight. It is every food lovers dream. 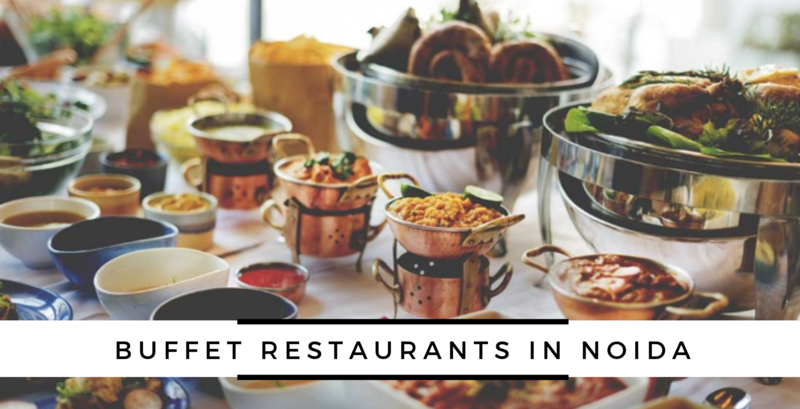 It includes momos (steamed dumplings), Dalle chili and tomato chutney, thukpa (noodle soup), gundruk (fermented leafy green vegetables), chhurpi ka achaar (yak cheese pickle), ningro curry (fiddle-head curry gravy), sel roti (doughnut-shaped bread), shimi ka achaar (string beans and sesame pickle). This is the one I definitely look forward to trying! 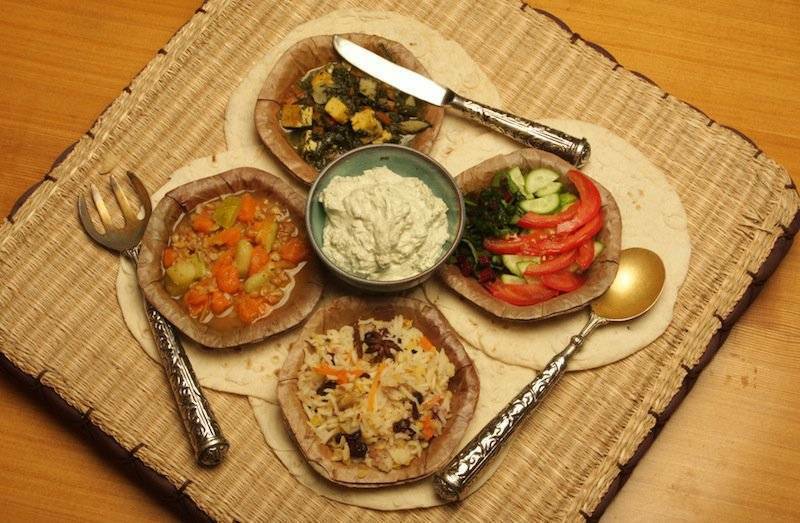 The Meghalaya Thali is one of the few that focuses on healthy food a lot. People from Meghalaya like boiled veggies a lot as they are considered to be very healthy. Puklein is another delicious snack available all over Meghalaya. Black sesame is used in almost every dish. For example, the special dal, "daineiiong" is incomplete without it. 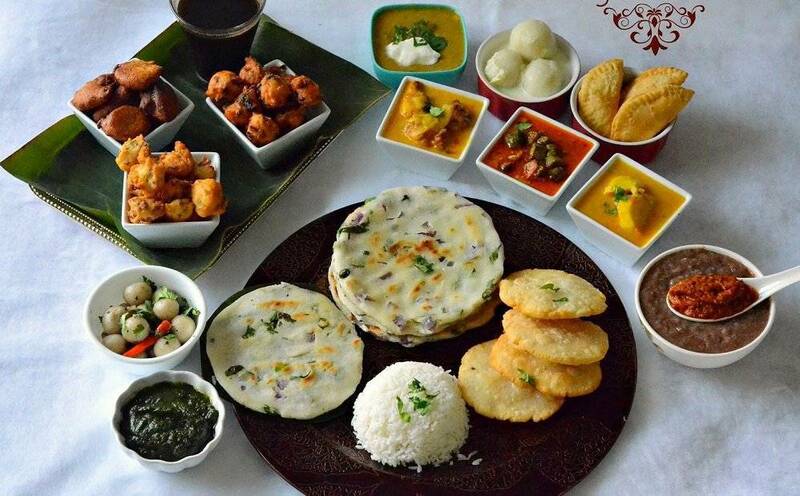 Arunachal Pradesh offers a different range of thalis from Breakfast to Snacks. Most of the people rely on pork meat and some fermented products like cheese and soybeans. They grow organic vegetable and fruits and consume everything organic. Rice is the staple food. The dishes prepared are generally non-spicy and they use a lot of bamboo shoots in their recipes. Butter tea (Po Cha) is said to be the main beverage served. Mizo chawmeh Literally means Mizoram cuisine. Like for other seven sister states in northeast here also the food varies from tribal communities. Mizo cuisine too concentrates more on non-veg recipes than veg. In Mizoram, people do like to include plenty of vegetables but they also add a meat to each and every dish. Zero oil or very less oil is used in most of the recipes here. 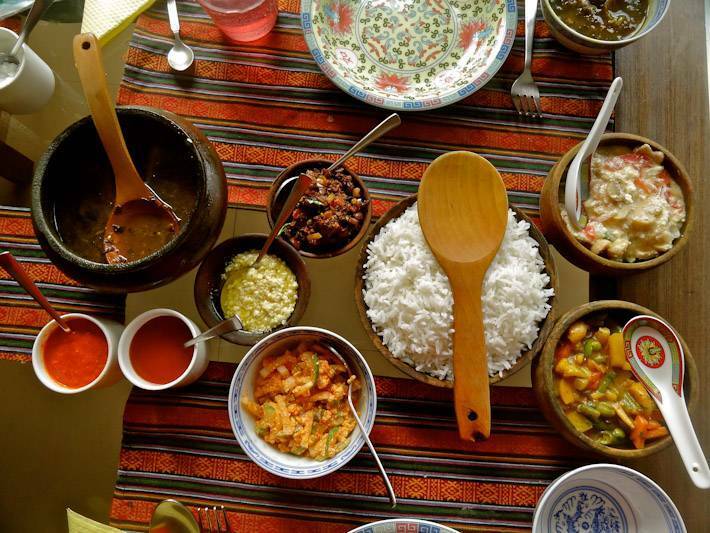 A meal in Mizo will contain the following dishes for sure Vawksa ( smoked pork), Samtawk, Bai ( soup), Hmarcha Rawt ( Chilli chutney), Any kind of Chhum ( Salad) Like beans chow chow cluster beans, Behiiang. 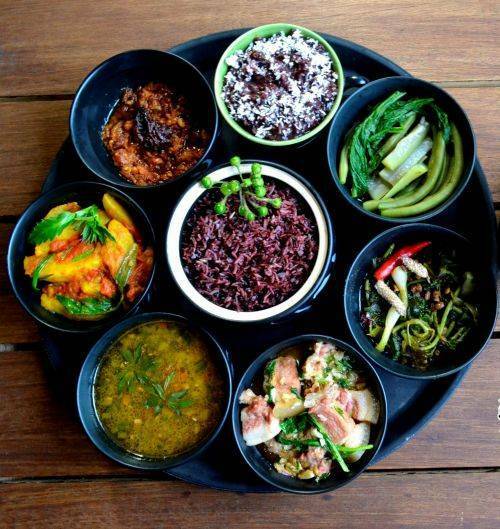 Naga cuisine comprises a variety of recipes from each tribe dwelling there. They love to include boiled veggie in their meal and Rice is the staple food here too. There are varieties of chutney prepared here in which the great naga chilli chutney is very popular. Rice beer is a very traditional drink here and other than that Zutho, dzutse, and ruhi. Galho is one famous naga khichidi which are prepared in many ways with veggie and meats. Cabbage and palak galho is one such khichidi they make for a meal. Tripura has a lot of Bengal population and thus Bengali cuisine is also popular there. It is similar to its seven sisters. 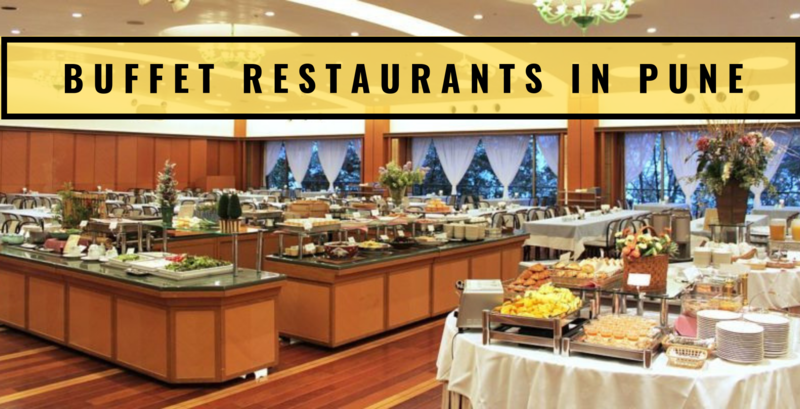 The food is healthy yet tasty and comprises large quantities of Non-Veg. Most famous item in their Mui Borok Thali usually are - Khichuri, Begun Bhaja, Tomato Chutney, Aaloo sabzi, Fish Stews, Mua. India is so unique, one can find three different recipes for the same dish in the three houses lined in the same row. Every kitchen has its own cookbook, unlike the rest of the world. THESE 29 ROYAL THALIS ARE SURE TO SATISFY YOUR HUNGER PANGS AND EACH IN ITSELF IS FIT FOR A KING'S FEAST!